Travel on any one of Grand Pacific Tours 200 guaranteed departures and receive an exclusive bonus offer of $125 discount per person and a 400 page New Zealand Eyewitness Travel Guide (one per household). Offer is valued at $300 per couple. Conditions apply. Trade Travel are your senior group touring and travel specialists and proud national sponsors of Probus South Pacific Limited. Ex Sydney, Melbourne or Brisbane (Surcharges may apply from other capital cities) before 2nd December 2019 you will receive $100.00 off the tour price per person. Please mention the Trade Travel Probus Member Benefit Scheme when booking. Inspiring Vacations is wholly Australian owned online tour operator, selling flight inclusive tours to inspiring destinations across the globe. Adding their Probus membership number as a ‘special request’ in the online purchase form. A boutique style accommodation located at the Gateway to Yarra Valley and Dandenong Ranges. 2 course dinner for $45 per person, includes a complimentary glass of wine. Please provide your Probus membership number at the time of making the booking. Coal River Coaches & Love Tasmania Tours is a leading specialist group tour company. The team curate a range of day, multi day and extended tours in addition to specially planned itineraries. Probians receive a 15% discount when quoting the Probus membership number at the time of booking. The team at The Travel Warehouse strive to provide the best touring and cruising deals available. Gardens of Europe and the Chelsea Flower Show, Exploring the “Stans” and the Silk Road, African safaris, Tastes of Tuscany, Villa and castle stays, Edinburgh Tattoo and Great Britain, Oberammergau Passion Play, small ship cruising, French Flower Shows and gardens, English Stately Homes, pilgrimages, motor racing and other significant attractions. Their goal is to provide an opportunity to give clients excellent customer service, travel products to choose from and true value with competitive pricing. The program gives travellers dedicated support with the opportunity to earn Cash Back on their personal travel based on the type of travel. Exclusive Offer to Probus Club Members available upon presentation of Probus membership number. $100 discount per couple on cruises. $200 discount per person on tours. Terms and conditions apply. Please identify yourself as a Probus member (quoting your membership reference) to ensure you get your discount. Golden Chain Motels is Australia’s largest accomodation chain with over 200 motels, hotels, B&B’s and cabin parks throughout Australia and the Asia Pacific. Golden Chain are delighted to offer Probians FREE membership to the Gold Link Travel Club which gives a 10% discount off the advertised rack rates at every location. Please register via the website or contact by phone to get your Gold Link Club card and free Australian travel guide. At Helloworld Travel Lower Templestowe, we believe the planning and organisation of your holiday should be both hassle free. Helloworld want your entire holiday experience to be great, before you leave, while you are away, and when you return. Lisa Ioakimidis who is a specialist in group bookings and also organising individual trips can assist to plan your trip. Working together with Scenic and other major tour companies we can offer exclusive rates to Probus members within our store. $500.00 per person off Scenic Tours & $200 off other tours per person, Insight, Trafalgar, APT, Globus, Cosmos. Click here to find more information on Solo Group departure in 2019. Even though you’re over 50 you still want adventures to travel and experience the world, Right! 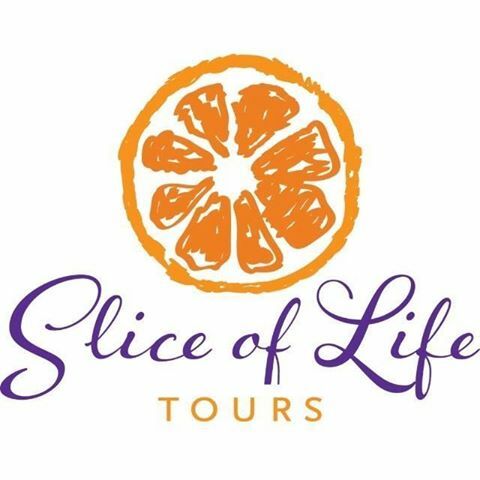 Join a Slice of Life Tour for all that and more. Slice Of Life Luxury Small Group Tours offer exceptional quality tours and making holiday dreams a reality. The wide selection of tours which showcases diverse cultures and communities of South Africa, Sicily, Sri Lanka, USA, Cuba, South East Asia, Israel for 2018. Your tour operator takes care of all the details. All you need to do is pick a journey and let Slice of Life Tours do all the rest and enjoy your time away with peace of mind. Probus members receive an 8% discount when they quote their Probus membership number. With 30 years’ experience in travel/ hospitality industries in Australia and Sri Lanka with reputable ground operators, Tropical Lanka getaways offer competitive prices and value for money for 100% tailor made quality tour packages to Sri Lanka and other destinations. Hurry! Places are limited – bookings close on December 10, 2018. PROBIANS ENJOY 5% DISCOUNT ON THE GROUND PACKAGE! International Cruise is a locally based cruise specialist providing advice and a reliable booking service for cruise holidays around the world. AVANI Sepang Goldcoast Resort offers an unforgettable over water resort! Blend tropical relaxation and adventure. Laze by the pool or get pampered at the spa. Grab a ball for beach games or venture out to meet gentle giants at an elephant sanctuary. AVANI Sepang Goldcoast offers a world of getaways – from beach excitement to rooms in an over water palm. Feel the buzz of Formula 1. Chill over sunset drinks. Chow down on mouth-watering flavors. Book your stay now and head to Malaysia’s Goldcoast! With 140 resorts, retreats, hotels and apartments throughout Australia and New Zealand, Mantra Group Hotels and Resorts is there to offer accommodation in your desired destination. Across our 3 brands, BreakFree, Mantra and Peppers – there will be an option to suit every taste and budget. Destinations include major capital cities, the Great Ocean Road in Victoria, Tropical North Queensland, the Gold and Sunshine Coasts, North and South islands in New Zealand and many many more. Probus members can receive up to 50% off accommodation at selected Breakfree, Mantra and Peppers properties via Departure Lounge, and exclusive member’s only website. Bookings can be made up to 365 days in advance, perfect for planning that relaxing trip away! With more choice than ever, the Departure Lounge is ready to send you on your next holiday or short break. As a member you can search and book discounted accommodation at selected Peppers, Mantra and BreakFree properties throughout Australia, New Zealand and Bali. These rates are exclusive to our partners and can be booked up to 12 months in advance. Plus if you can’t find a suitable special, you can still book the best available accommodation rate at any of our hotels, apartments, resorts and retreats. Rates are best when searching for 3 nights or more. *Terms and Conditions apply. Discounts apply to bookings made on the Departure Lounge website only. Offer open only to persons who are members at the time of booking and is non-transferrable. This offer cannot be used in conjunction with any other offer or promotion and is subject to availability. Block out dates apply. All bookings made of Departure Lounge are subject to the Mantra Group Booking Terms and Conditions. Departure Lounge is available only to our partners. Delivering quality service for 100 years, Collette offers more than 160 tours across the globe. From classic coach touring, to small-group experiences, from shorter city-stays, to river cruising, Collette has the perfect tour for you. Experience world-class service with round-trip chauffer service from your front door to the airport included in each tour, along with in-depth expertise from professional tour managers, carefully designed itineraries and handpicked hotels. Collette’s range of touring is for today’s traveller! Probus Members receive 5% off all tours in addition to any other offers available at time of booking. A highly trained tour manager at your service, and expert local guides. Superb itineraries, developed using our 100 years of experience. Unparalleled sightseeing and enriching cultural experiences. Simply enter the promo code above when using our easy online booking site to receive the travel discount. Group Bookings. We are specialists in group travel. We make the process easy & Laybying is the perfect budgeting solution. Call one of our group travel specialists on 1300 266 286 to start planning today! LayAway Travel - The only way to book your next trip and pay it off at a rate that suits your budget. Travman Tours specialise in offering great value small group tours to China, India, Vietnam, Myanmar and Laos. Probus members who book directly will save 10% on all Travman Tours or tailor made holidays. 40 years and 10,000 flying hours later….Kirkhope Aviation remains a leader in private tour destinations around Australia. A leader in both safety and aircraft maintenance, Kirkhope offers a range of benchmark air tours to sensational locations such as the Kimberleys, Red Centre, Lake Eyre, Flinders Ranges and all the southern islands. Our 3-4 day Taste of the Outback tour to Lake Eyre via Birdsville, Arkaroola & Parachilna is the “la saveur de l'année”. Probus members will be treated to private luxury in our range of superb aircraft (6 to 10 passengers). Our air tours include everything; return flights, ground transfers & tours, accommodation from glamping to superior, even meals with drinks! All inclusive, no extras. And you can even park for free at our hangar. Unique club offer: 2.5% off any tour (ex GST) on Probus Club identification. Travelticket was established in 2000 with the idea of creating memories for the holiday maker and providing for the business traveller. Our travel organisers are experienced and most importantly we care. They will organise the holiday you have dreamt of or organise arrangements for that complicated business trip with ease. We make ourselves available in discussing all details of your travel arrangements. There is never anything to big or too small. We look forward to seeing our old friends and meeting new friends today. Travelticket is offering Probus members 10% off all Insight, trafalgar, Globus + Cosmos tours and Uniworld. 7.5% off Bunnik Tours, Albatross Tours, APT and Scenic. Probus members also receive extra $50 off Business class airfares. Adelaide Shores is a tourism and recreation precinct set on 1.2kms of stunning coastline at West Beach, South Australia. Our award winning facilities include two accommodation properties - Adelaide Shores Resort and Big4 Adelaide Shores Caravan Park, with group travel being our specialty. Group guests will be spoilt for choice with a wide range of cabin accommodation options at both the Resort and Caravan Park, where guests can enjoy the beach, pools, golf, and sports facilities on offer within the precinct. Adelaide Shores is renowned for its experience in hosting group accommodation and we also have an onsite catering team, function facilities and a large camp kitchen that is available. 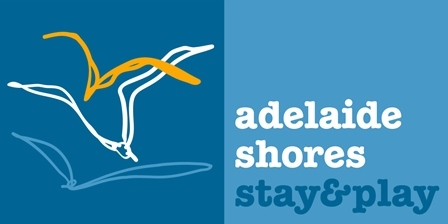 Adelaide Shores is delighted to offer Probus Members 10% off your overall group reservation should you book 6 or more cabins at either the Resort or Caravan Park. We are proudly South Australian run and Australian owned company that provide good old fashioned customer service. We specialise in holidays for the over 50 market and do produce our own packages in the market place. We have many accolades from GSR, AAT Kings, Seniors Coach tours, CMV Australia, Captain Cook and Sealink as a top selling office. We have staff who are domestic and International specialists that have years of travel knowledge and are always ready to assist you with your dream holiday. 5% Discount off holiday packages, rail and sail holidays, rail journeys and accommodation for travel domestic and international. Probus members will also receive discounts off seniors coach tours and no single supplement if you book willing to share option. Minimum spend $2000. Whether you’re travelling domestic or international, for business or leisure, from worldwide tours to weekend breaks, solo or as a group, with kids or without, Wyndham Hotel Group has all of your travel needs covered. Wyndham Hotel Group is the world’s largest and most diverse hotel company encompassing approximately 7,670 hotels and 667,000 rooms in 70 countries operating under brands like Ramada, Wyndham Hotels and Resorts®, Days Inn®, TRYP by Wyndham® and Microtel Inn & Suites by Wyndham®. Click here to view our Hotels & Resorts brochure. Wyndham Hotel Group is offering Probus members 10% off the best available rates online. Please enter your Probus membership number in the comments field when making a booking to receive your exclusive 10% discount. As a Probus member you will also have exclusive access to a corporate partner page and can also register your email address to receive pre-sale access to one-off hotel deals and discounts throughout the year. Discover Australia's most spectacular destinations. Captain Cook Cruises is Australia's favourite cruise line operating cruises on Sydney Harbour and small ship cruises on the Murray River, Great Barrier Reef and Fiji Islands. We are also part of the Sealink Travel Group incorporating, ferries, accommodation and touring in South Australia (Kangaroo Island & Adelaide) and Far North Queensland (Magnetic Island & Townsville). Our experienced international cruise consultants are ready to meet your holiday needs. Probus members who book directly with us are each offered a $100 gift card. Boutique cruise specialists. Exclusive discounts of 5-10% for Probians. Enjoy an exclusive walking tour of Heritage Estate, a pastoral holding since 1819, with High Tea. Small and large groups are easily catered for. It's just 15 mins from MONA and 30 mins from Hobart. Probians save 10% on tour bookings and 5% on Shene artwork and at the gift shop. 3801 Limited operates regular heritage train trips from Sydney to the Southern Highlands and other destinations with vintage diesel and steam locomotives and restored heritage carriages. Probus members receive a discount of 10% off all 3801 Limited tours and over 25% discount for groups of more than 15. Probus members should make bookings over the phone and quote their Probus membership card number when booking to receive the discount. Uplift Tours and Travel are fully accredited group travel specialists, offering specialist escorted tours and arrange travel arrangement for private groups. Save $75 per person on all Uplift escorted Over 50s tours, including our well-known industry leading Cook Islands Over 50s tours! With over 50 years combined industry experience, the inspired and innovative team at Uplift Tours and Travel will engage in tireless research to ensure your travel experience is successful, enjoyable and ‘hassle-free.’ Being worldwide group travel and inspirational travel specialists, you are in safe and experienced hands when you trust our team with your travel plans. Our team are committed to personalised service, attention to detail and dedicated to delivering excellent travel experiences for our valued clients. There’s a whole world of difference when you choose to use Uplift as your groups and inspirational travel professionals … contact us today and see why! Conditions: Bookings must be made directly with Uplift and your Membership Benefit Discount cannot be used in conjunction with any other offer. You will need to complete required travel booking forms. Your membership card number will need to be recorded on these documents. At Aurora Expeditions our pioneering spirit burns just as brightly as it did on our very first expedition over 20 years ago. Since then, we have taken thousands of inquisitive and adventurous souls to experience some of the most incredible destinations on Earth. From Antarctica and the European Arctic, to Australia’s very own Kimberley Coast, we continue to inspire with exciting new itineraries and activities, all delivered in our unique Aurora style; down-to-earth, small- group adventures that harness the spirit of ‘getting out amongst it’. Book on any Aurora Expeditions’ voyages and receive one free night accommodation before or after your trip. Terms and conditions: The Probus member benefit is valid across all Aurora Expeditions departures, except inaugural expeditions. One free night accommodation is valid per booking only. Not valid in conjunction with any other offer. Probus member card or number must be stated when booking. Free night must be taken directly before or after expedition in starting or ending city. Other terms and conditions may apply. Please contact Aurora Expeditions for full details. Murray River Paddlesteamers offer daily cruises on steam fired paddlesteamers from the historic port of Echuca. We would like to offer exclusive group discounts to Probus groups of 20 or more people visiting Echuca. 5% discount off 1, 2 or 3 overnight cruises available for individual travellers. Must present Probus member number at the time of booking to receive the above discounts. Our exclusive offer to Probus members is a 10% discount off the total amount of your trip. 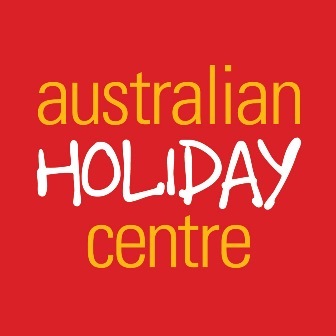 Holidays of Australia specialises in cruise and rail journeys in Australia and around the world. Probus members who book directly receive an exclusive 5% discount. Conditions apply- minimum booking value of $2500 per person. Cruise Express is a multi-award winning agencywith an enviable reputation for specialising in cruise travel and escorted voyages. Cruise express can book any ocean or river cruise, anywhere in the world. Make any new booking with Cruise express to receive a National geographic travel coffee table book (valued at up to $49.95) plus receive a $50 Future Cruise gift card.